THANK YOU FOR 5* BOTS! Thank you Kabom, For the five star bots made available in the last update. Us players have been bugging you guys(&gals) for a while and thank you for finally making them. I’m loving 5*s just got bay mega as my first! 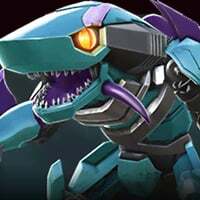 any idea can we forge our 4* bots to 5* bot??? 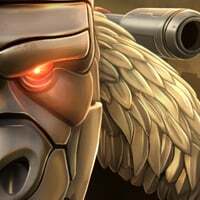 please tell ....I'm so exited already have 9k 5* shards need 1k more and I'll soon get 5* bot yay. I finally got mine today, and yes you can forge 4* into 5* for 5* shards. Classic rookie mistake. While his base stats are similar, his abilities are only rank 1. Your r3 4* is substantially more powerful than a 1/10 5* as a result.